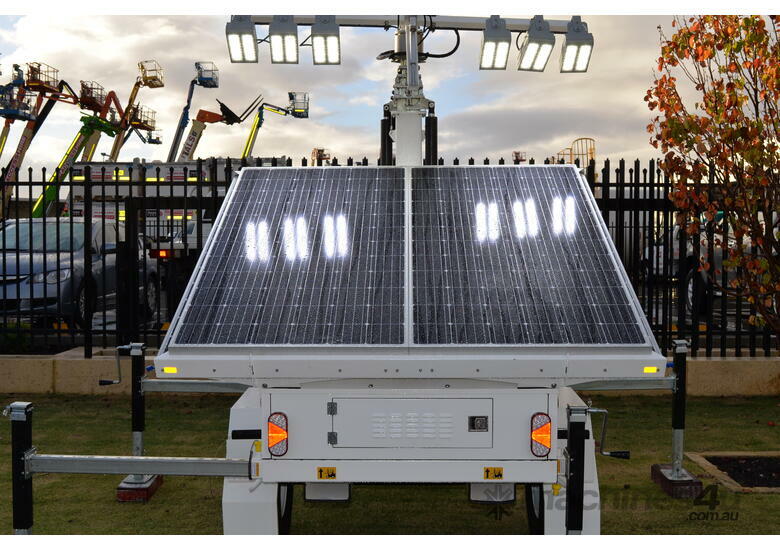 Welcome to the future of mobile lighting, the LTA Solar 90K. 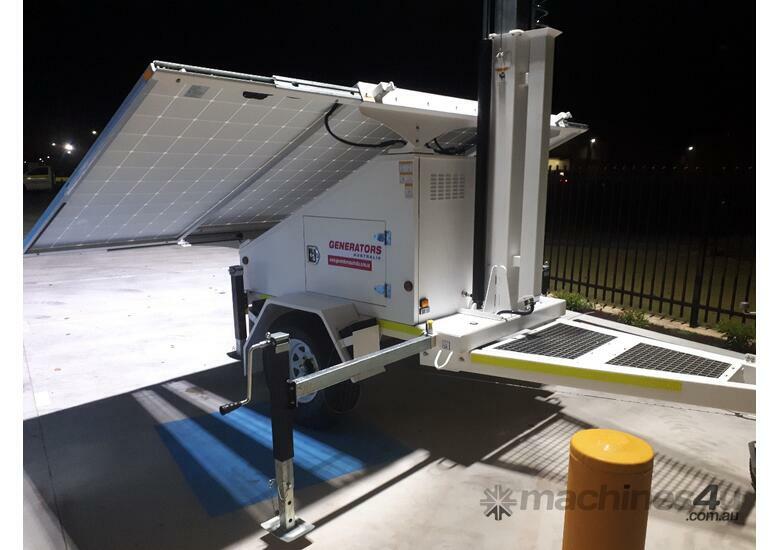 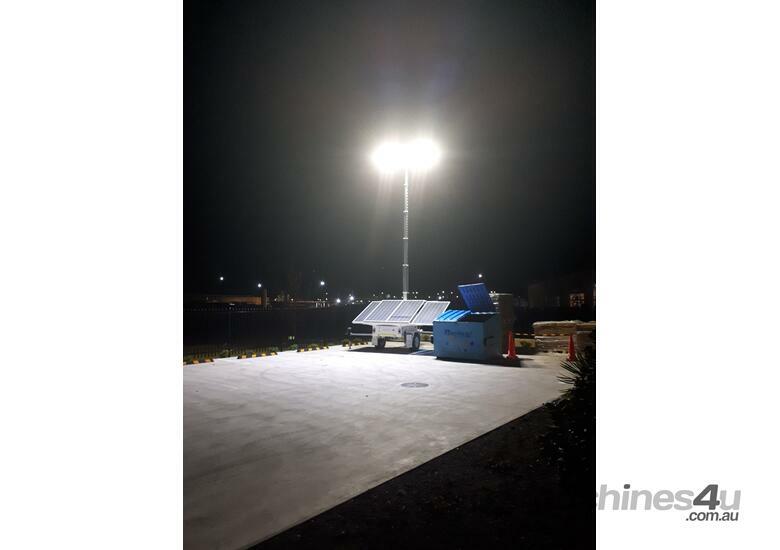 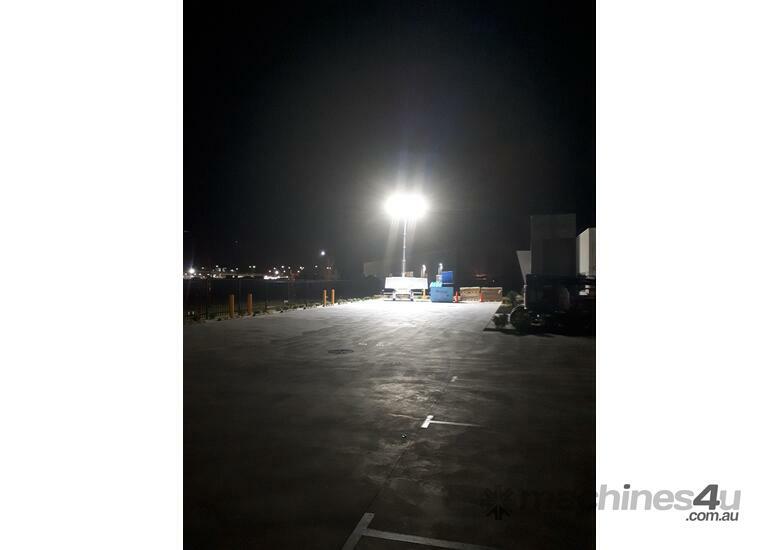 Generators Australia has a new lighting tower that is run solely by renewable energy. 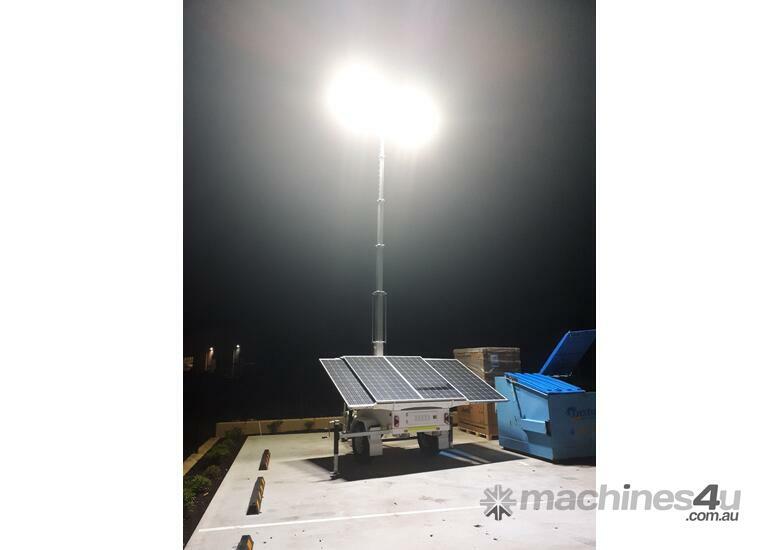 The tower utilises the latest in solar technology with 600W LED light (6x100W lights) producing an industry leading 90,000 lumens. 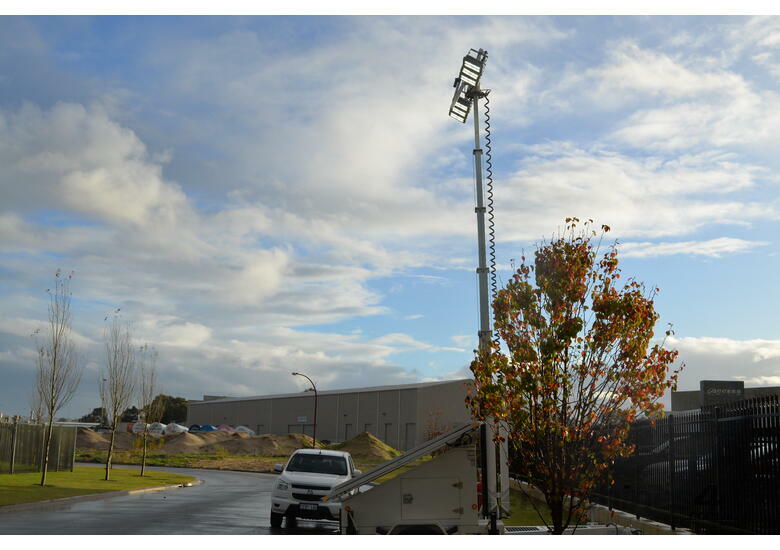 The 9 meter telescopic mast is easy to operate and can be rotated and tilted at the flick of a switch. 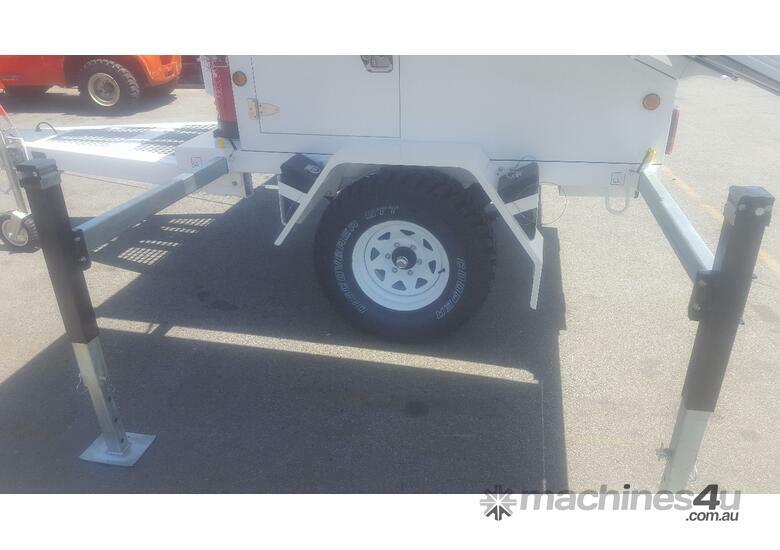 The durable trailer allows for operation in the harshest of environments and provides easy transportation. 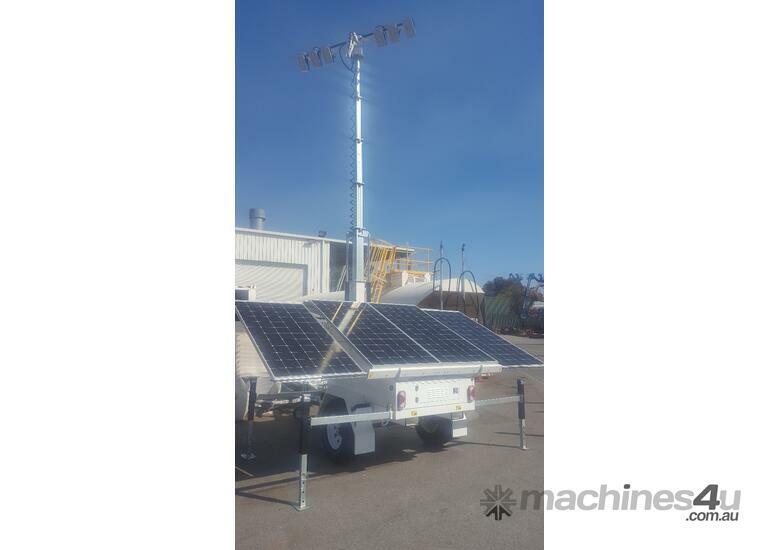 On average use, a solar light tower will save approximately $10,000 in operative cost over a diesel powered unit. 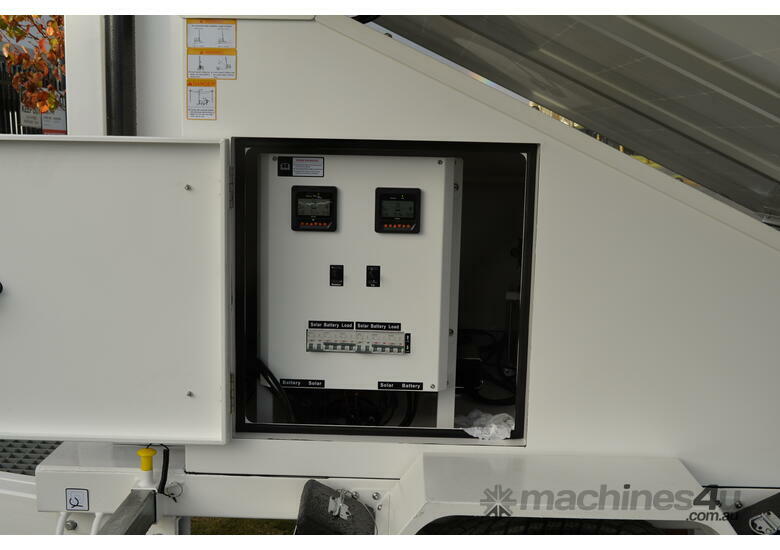 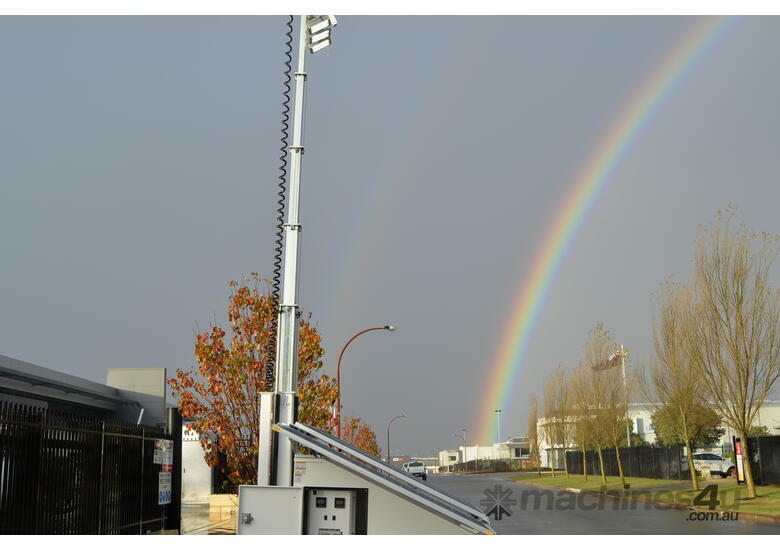 The tower is self charging and is able to hold its energy for up to 3 days, saving operators on fuelling costs. 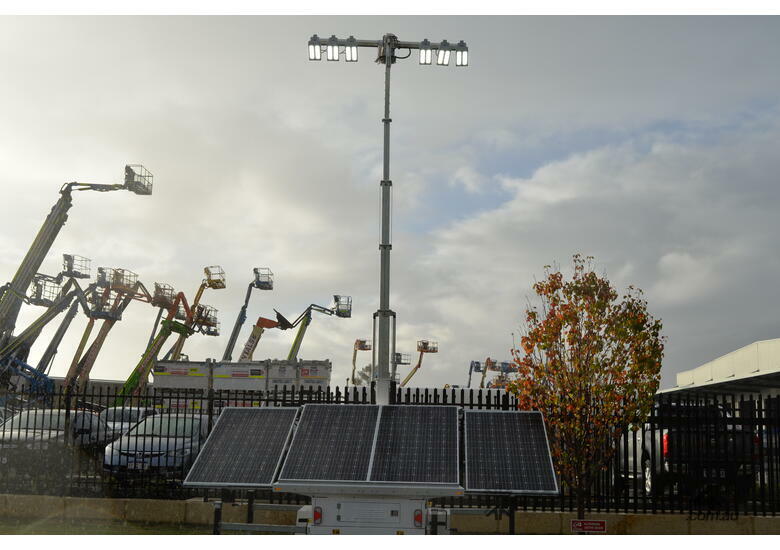 Utilising a renewable energy source reduces the amount of emissions produced, being a green alternative to a diesel powered tower. 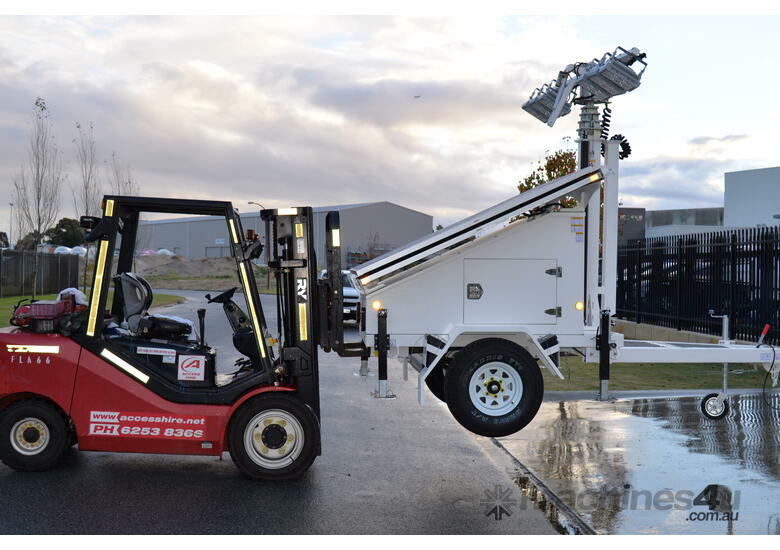 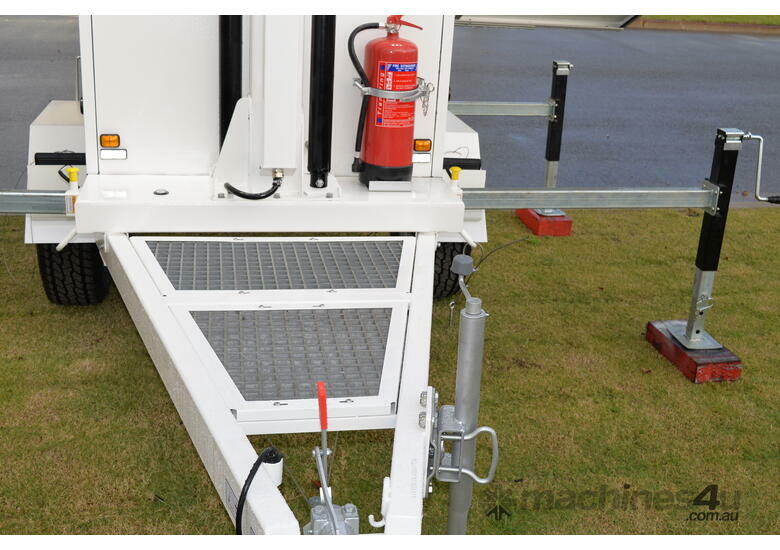 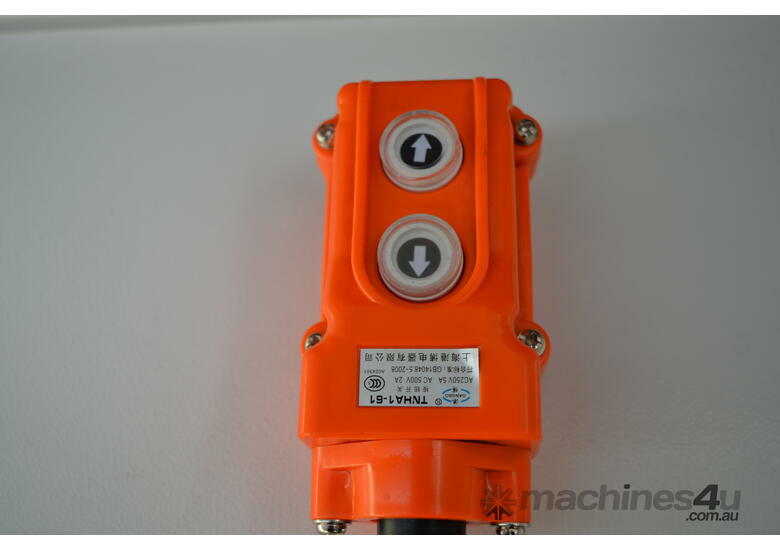 The machine is also quiet to run, therefore is ideal to operate near residential areas. 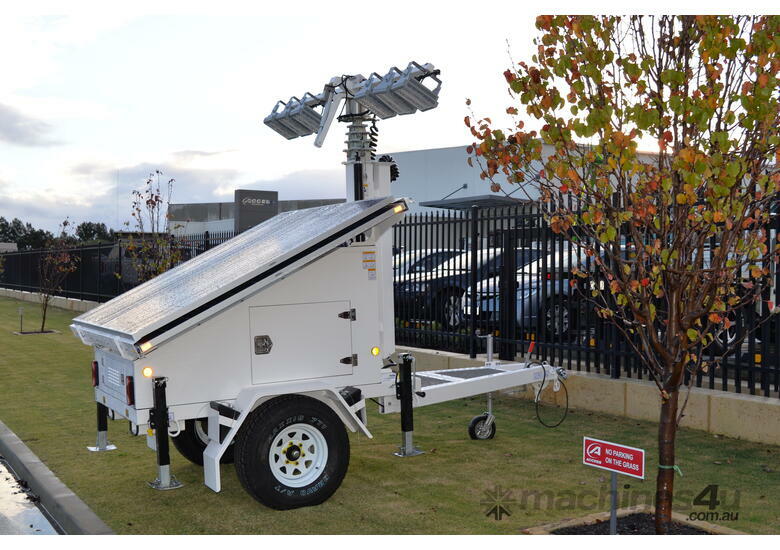 LED Solar lighting towers available. 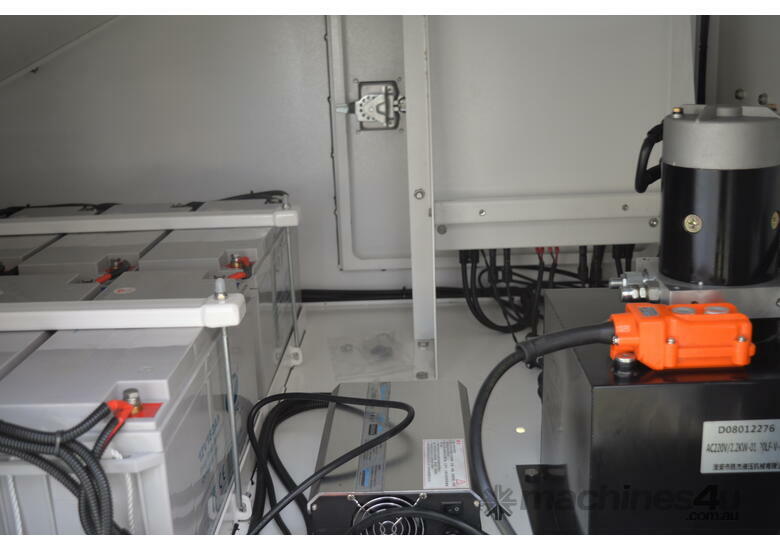 Runs 28 hours on a full battery charge. 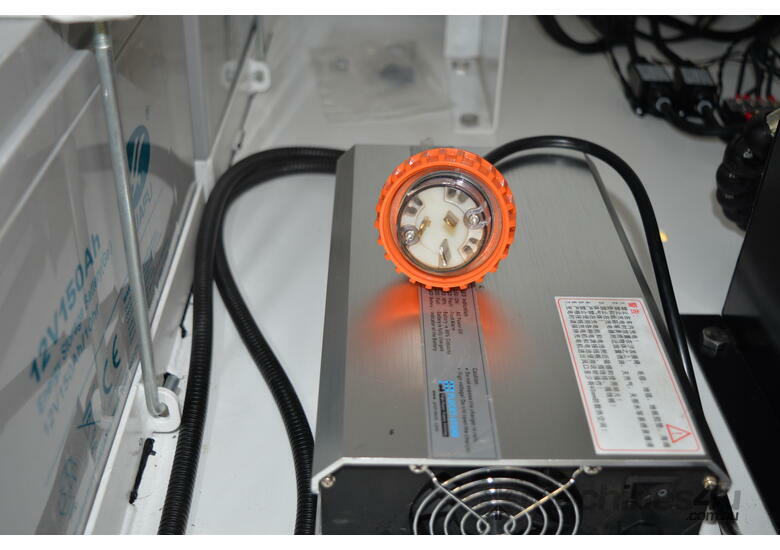 No more fuel bills EVER. 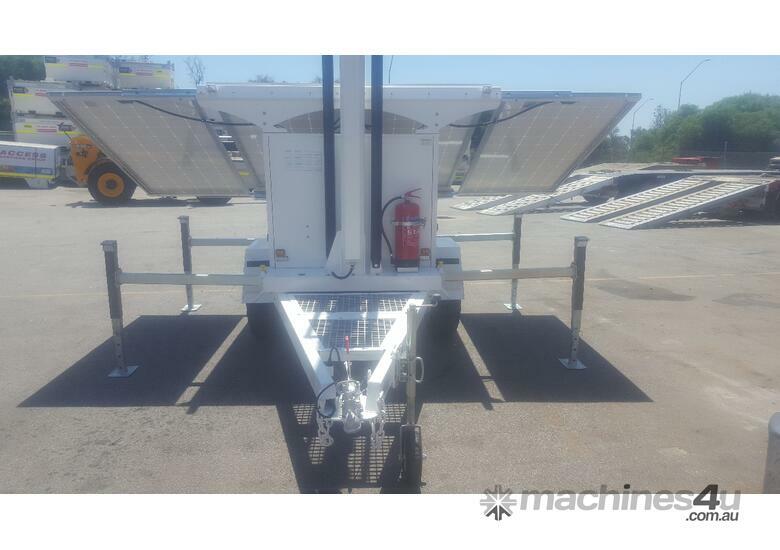 Compact durable Single axle trailer construction tow with a standard vehicle.